Lose your timer remote? Order a replacement here. Lost your timer remote? Need a spare? We got you covered. Much like it’s cousin the tv remote, clock remotes have a tendency to go missing. Even if you haven’t lost one, a spare sure hurt , as nothing can mess with your well-timed class like an unusable clock. 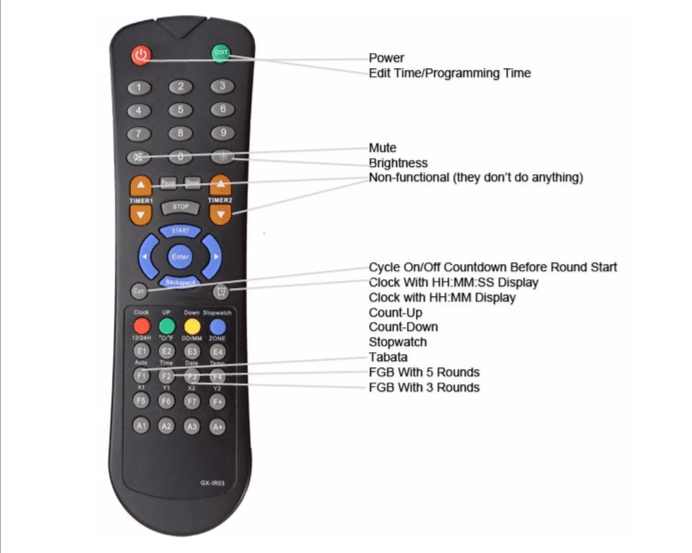 Use the remote for nearly any timing scheme your cruel mind can dream up, and featuruser-friendlydly button sequences that make it simple for anyone to program.